The Erie and Lackawanna railroads were discussing (and implementing) means of consolidating facilities well before the actual Erie Lackawanna merger in 1960. One of the first casualties was the Lackawanna main between Binghamton and Corning, New York. This former Lackawanna depot at Big Flats, New York nestled between the former Erie and Lackawanna mains has clearly seen better days. 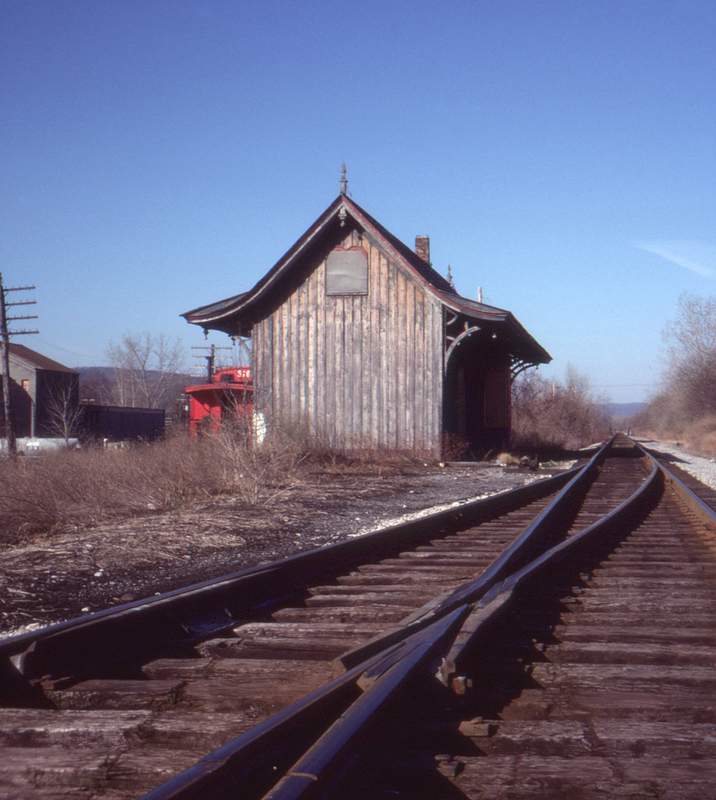 The active track on the right is the former Erie main, clearly well-used, while to the left of the station a caboose rests on a small stub of the ex-Lackawanna, retained just far enough to serve several online industries in town.